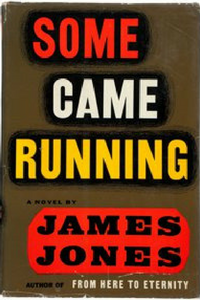 his was Jones’ second published novel, following his award-winning debut From Here to Eternity. It is the story of a war veteran with literary aspirations who returns in 1948 to his hometown of Parkman, Indiana, after a failed writing career. It was a thinly disguised autobiographical novel of Jones’s experiences in his hometown of Robinson, Illinois immediately after returning from World War II.